SKU: CLAS-NRAVE. Categories: Brooches & Clasps, Cloak Clasps. This clasp features Odin’s ravens, Huginn and Muninn. These two will always keep both an eye and an ear out for you! 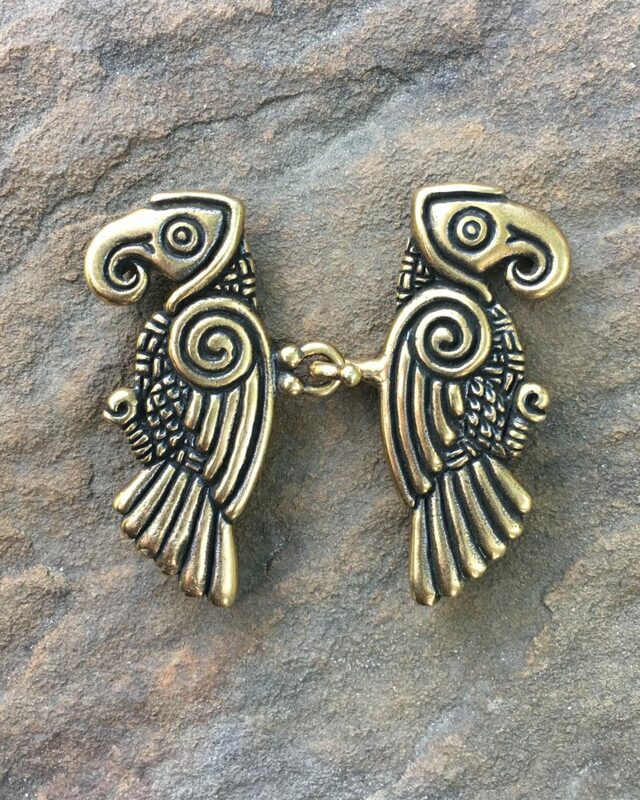 Our Norse Raven Cloak Clasp is 2.25” wide (57 mm) and is available in bronze and sterling silver. To start using this hook & loop clasp, all you have to do is sew each half to either side of your favorite cloak.